Hung Ta Garden Enterprise Co., Ltd.
Sep 25, 2015 | By CENS | HUNG TA GARDEN ENTERPRISE CO., LTD. Gardening is increasingly popular with consumers and weekend gardeners in the U.S. and Europe, as many market reports show that people are spending more leisure time in their backyards and gardens to socialize, host garden parties, lawn games and beverage brewing events. Driven by the trend, the global market for gardening and outdoor living products is forecast by Garden Media Group, a U.S.-based market research firm, to remain on an uptrend with annual growth rate of 3.5% on average through 2016, when overall demand will reach US$220 billion. While available time and degree of labor input are generally concerns for DIY gardeners among others that affect willingness to engage in gardening, gardeners often struggle with the problem of the length of hose to buy that enable easy irrigation coverage of their spacious gardens, given that a long hose tends to tangle easily to result in difficulty of storage efficiently without using reels or other complementary equipment, not to mention the quality of hose that could result in bursting and leaks. Hung Ta’s Flat PVC Hose series are patented worldwide for unique design and functionality. To address the abovementioned problems, various functionally innovative products from Taiwan-based Hung Ta Garden Enterprise Co., Ltd., a dedicated maker of gardening tools and accessories with decades of experience, offer ideal solutions to gardeners looking for convenient, user-friendly tools. For instance, Hung Ta's Flat PVC Twin Hose series are designed with a double-inner-hose structure for improved elasticity and functionality, which ensures smooth water flow even if the hose is kinked, as well as the hose to withstand 20-30 kilograms water pressure and retain original shape after use to avoid tangling. The hose series all are resistant to heat, cold and UV, hence featuring longer lifespan than competing models. 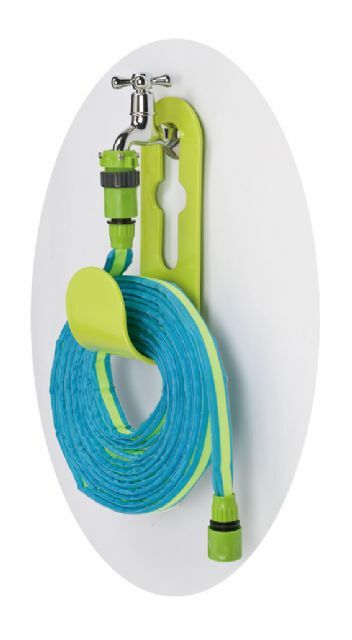 Used along with the firm's unique reel, the hose series offer gardeners great user experience in easy, convenient gardening. Another of Hung Ta's hose product is the Reinforced Flat Hose, featuring reinforced double-walled structure composed of a PVC inner tube braided with Tetoron through advanced knitting technology, hence featuring excellent resistance to impact, pressure, weather and UV exposure. As added-value, the Teteron-reinforced hose dries naturally and quickly within 24 hours, as well as being multi-nation patented. 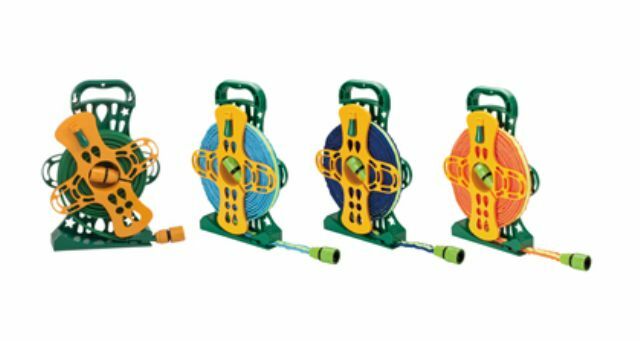 Hung Ta’s hose reels feature stylish exterior and easy storage. Founded in 2005, Hung Ta is known as a reliable manufacturer, for it adopts a sound line of CNC and advanced production equipment in its factory to secure production flexibility and qualitative consistency. Besides, this quality-dedicated supplier conscientiously carries out strict tests in line with international standards on all its finished products before shipment, helping customers accelerate launch of new products. Additionally, the company also boasts plentiful metalworking skills that can turn customers' drawings into marketable products with high quality and precision, therefore being renowned among international buyers as a trustworthy production partner. The company supplies a wide range of gardening tools and accessories, including sprinklers, spray guns, joints, flat hoses, trigger nozzles, sprinkler stands, misters, coil hoses, brass connectors, fire extinguishing hose nozzles, EVA coiled hoses, multifunctional flat houses, garden lightings, valves, elastic garden hoses, plastic parts, mousetraps, animal traps and rat catchers and so forth. Hung Ta supplies a variety of user-friendly, value-added gardening tools and accessories.